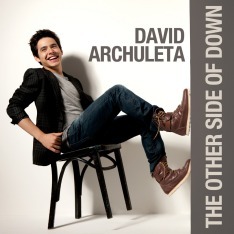 David Archuleta gets ‘cheeky’. Following David’s oral surgery, his cheeks were puffy for nearly a week. We fans saw a photo of David in the dentist’s chair, but were spared from seeing his chipmunk cheeks. As David enters the age of wisdom, we want to wish him a “happy mouth”. David smiles from cheek to cheek! David Archuleta gets a kiss on each cheek. In this behind-the-scenes snapshot during American Idol 2008, Brooke White and Kristy Lee Cook ‘air-kiss’ David Archuleta. We think someone must be tickling him too. while yanking out those wisdom teeth. David’s puffy cheeks were, no doubt, adorable! But I think he was smart not to show everyone how he looked, because some people are squeamish about dentistry. We associate it with pain!